Tomlinson Construction are a long established construction firm based in Leeds, West Yorkshire. Trading since 1850, the firm has a rich heritage and a wealth of sentimental treasure troves which we were keen to incorporate into their new website somehow. The client recognised that their previous website was very dated and lacked punch. In addition, the previous website wasn't mobile friendly, had way too much text content and no obvious way to make contact. Having looked at several competitors, the client also pointed out that many of their websites looked quite corporate and intimidating. Tomlinson wanted to take a less formal approach, and have a website that would separate them from their competitors. We chose to take an illustrative route, combined with subtle animations, to achieve the desired effect. 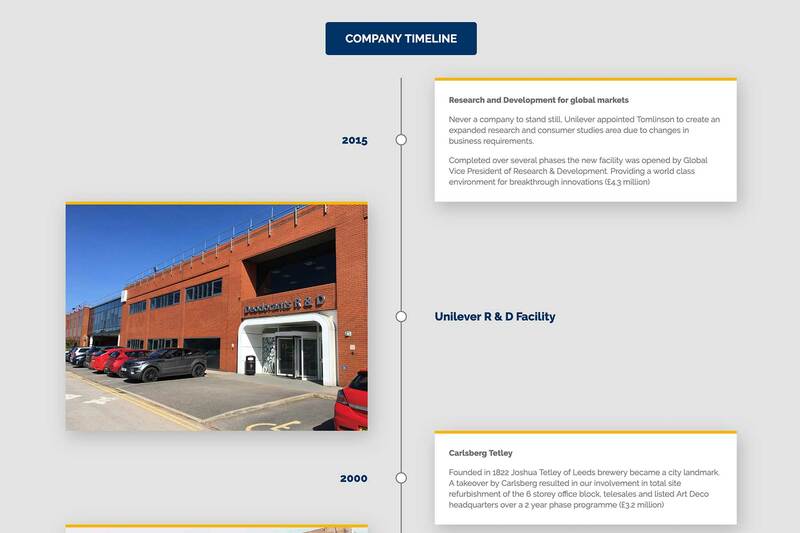 To incorporate some of Tomlinson Construction's past, we created a timeline section on the About page which alternates between description and image. The timeline seamlessly shifts its alignment when displayed on mobile devices, making for a pleasant user experience. 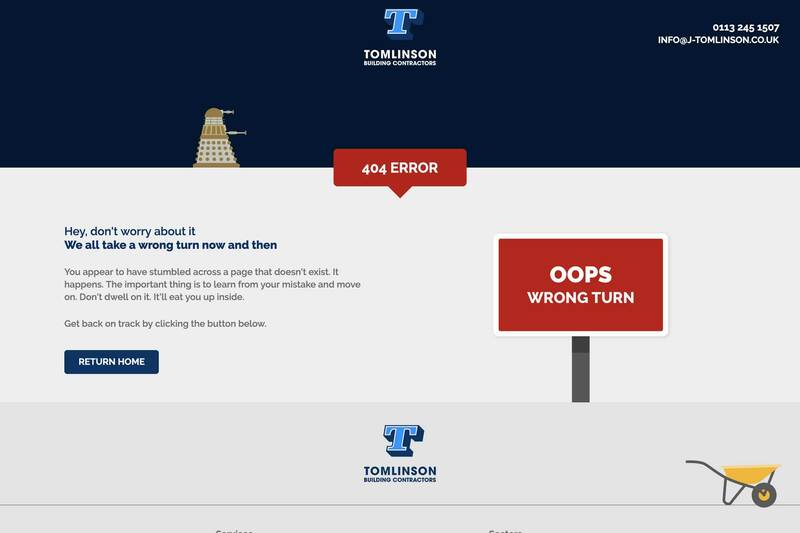 Something else we included was a custom 404 error page which features a rooming Dalek across the top of the page. A subtle addition, but a delightful way to handle URL redirection. 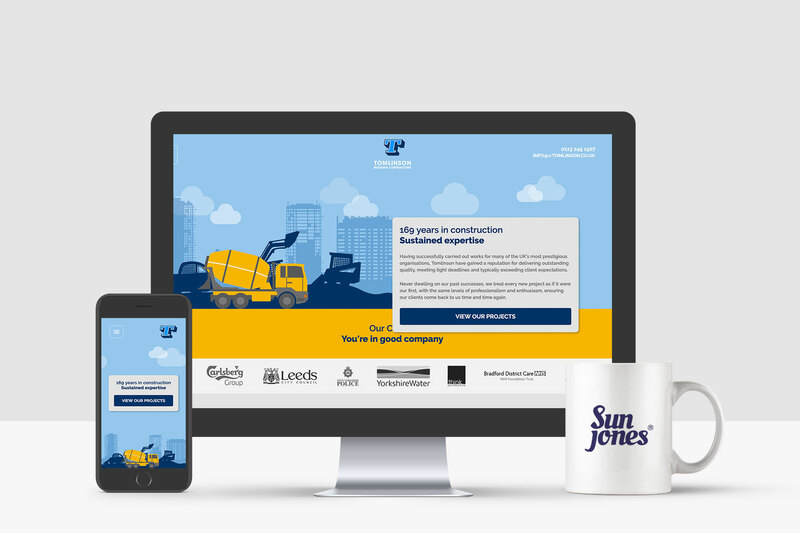 "It was a pleasure to work with Sun Jones creating a new and bespoke website. David made the whole process an enjoyable and rewarding experience from initial ideas to a final roll out."